Liz Reynolds, Annie Martin and Carol Alms of Leathers Interiors share why leather is always on trend. Leathers Interiors is St. Louis’ original leather specialty store. The store carries high-quality, name brand and custom pieces that complement all design styles. Leather is a classic, and Leathers Interiors will help you find the piece that fits your home. SLHL: When considering a leather piece, what is the most important thing to know? Leathers: Think about how you plan to use it. This will determine the grade of leather you should choose. If the leather piece is going in the family room with children, you will need more protection and a durable finish compared to a piece located in the living room. SLHL: Why is leather a great investment? Leathers: Leather will last for many years. Real leather is four times more durable than fabric, and because the fibers are so dense and pliable, leather doesn’t puncture readily. SLHL: How do I care for my leather furniture? Leathers: Use a conditioner and cleaner made for leather-furniture care. Clean your leather piece every few months as it keeps the leather from cracking. SLHL: When purchasing a new piece, where do I even begin with all the choices? 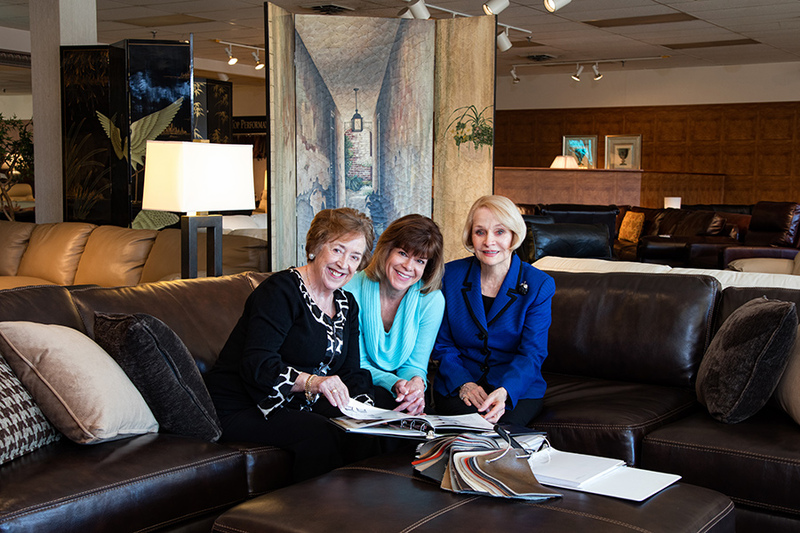 Leathers: We have our customers sit in every piece in our showroom before making a decision. You can’t pick out a sofa or sectional from a catalog. You need to sit in all your options to really get a feel for the depth of the piece, how it's made and how it works for you. SLHL: With the versatility of leather working across all design styles (traditional, contemporary, rustic), is there one particular style that lends itself best to leather? Leathers: There isn’t one particular design style. Leather works with all styles. It is a classic! SLHL: What is the most popular color? Leathers: Brown or cream are always popular, but gray is hot right now. SLHL: How do I make sure I select the right color? Leathers: We suggest you take a leather swatch home with you. Different grades and colors vary depending on your light. You want to see your swatch in the natural light within your own space. SLHL: What is the newest option in leather furnishings? Leathers: We are seeing power reclining in chairs, sofas and sectionals.